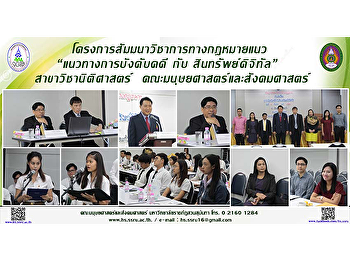 The Faculty of Humanities and Social Sciences held the seminar for the Foreign Proficiency Development (Korean Language). 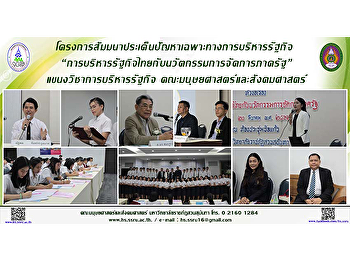 The Language and Literary art Club, the Faculty of Humanities and Social Sciences held the competition about the Oral reading of the prose style and composition of the Thai octameter poem. 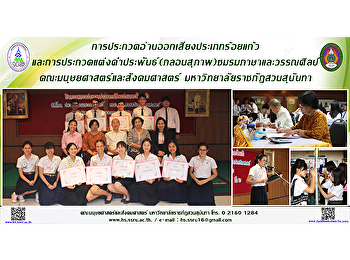 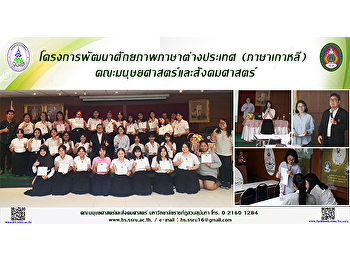 The Faculty of Humanities and Social Sciences, thanks to the Thai Hotel Association Southern Chapter for the Co-host of the 2nd National Academic for the Humanities and Social Sciences Undergraduate Conference. 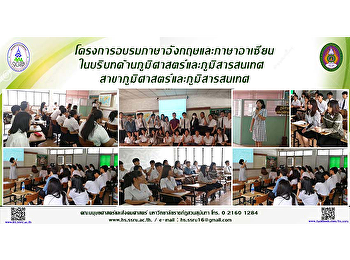 The Faculty of Humanities and Social Sciences held the orientation for exchange students and the parent-teacher meeting in academic collaboration between Suan Sunandha Rajabhat University and Yunnan Normal University. 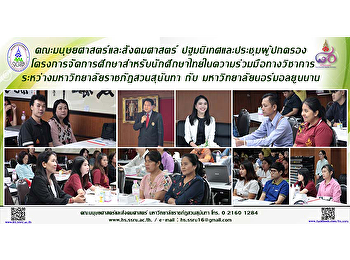 A Geography and Geo-Informatics Programs, Faculty of Humanities and Social Sciences took place the training for the English and Asian Languages in the context of Geography and Geo-Informatics.